In an effort to stay competitive, large law firms have made significant technology investments in recent years. For example, a significant majority of large firms reported gaining significant competitive advantages through the use of data analytics to improve litigation strategy, forecast profitability of cases and matters and better advise clients with more accurate and reliable analysis. In-house technology investments on the scale and complexity needed to compete with large firms remain cost prohibitive for small firms. As an alternative, small firms have been turning to the cloud to narrow this technology gap. “The push into technology is a recognition that the market for legal services is changing and that, in the near future, the winners will increasingly be legal companies — law firms or alternative service providers — that can deliver efficient solutions,” say Rhys Dipshan and Roy Strom of Law.com. In fact, 56.3 percent of solo and small firms report using cloud services in a 2017 survey conducted by the American Bar Association’s Legal Technology Resource Center. That number was up by nearly 10 percent from the prior year. However, smaller law firms have still been slower to implement cloud computing than other industries. For example, a recent IDG Communications Inc. survey found that 73 percent of organizations are using at least one cloud-based application or using the cloud for their computing infrastructure. But smaller law firms don’t have to remain disadvantaged relative to their large firm and technologically savvy smaller firm competitors. Nor do they have to remain behind the technological curve relative to their clients. For small and midsize law firms, cloud-based services offer significant cost savings and productivity gains with little to no capital investment. Stated simply, smaller firms can improve their competitiveness by using online apps. Background: What is Cloud Computing? Contrary to what the name may suggests, cloud computing is solidly grounded. 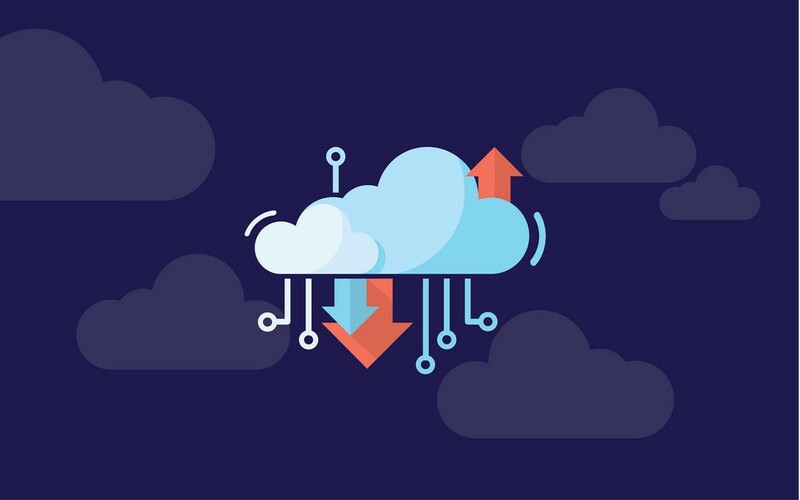 Simply put, cloud computing means storing and accessing data and programs over the internet instead of your computer’s hard drive. Cloud computing offers the opportunity to purchase storage and processing power from service providers and harness that power from anywhere. Businesses use cloud computing for more and more critical tasks and operations. Things like data storage and communication, for example, are now often done offsite via a cloud service provider rather than stored on a local server. Generally, there are two types of cloud computing: public and private. The public cloud refers to services that offer access via the internet to storage and computing located and maintained at the service provider’s site. Public cloud computing doesn’t require the expensive build-out of local infrastructure on the part of the firm. Private cloud computing, on the other hand, provides an on-premises cloud solution. Private cloud, sometimes referred to as internal or corporate cloud, offers the benefits of public cloud with the added benefit of control and customization but remains locked only for the host company or law firm to use. Cloud computing takes several different forms and serves many different functions. Perhaps the most common or commonly know is software-as-a-service, or SaaS. Whereas the old model of software delivery relied on time consuming installations and periodic software updates on local computers, SaaS allows users to access software online via a subscription model. This eliminates the need for on-site information technology teams to deploy and manage licenses. Microsoft Office 365 and Google’s G-Suite are great examples of SaaS. Platform-as-a-service, or PaaS, is a category of cloud computing services that provides a platform allowing customers to develop, run and manage web applications without the complexity of building and maintaining the infrastructure typically associated with developing and launching an app. Infrastructure-as-a-service, or IaaS, is a service model that offers virtual computing infrastructure via the internet. This eliminates the need for upfront capital outlays for servers and data centers. The maintenance of the infrastructure is managed by the cloud service provider leaving on the install, configure and management of software up to the business user. Often considered a subclass of IaaS, container-as-a-service, or CaaS, is a cloud service that allows software developers to upload, organize, run, scale, manage and stop containers by using a provider’s application programming interface calls or a web portal interface. Cost is always a consideration when making technology buys. One of the major benefits of using the cloud rather than in-office solutions is that the upfront and maintenance cost are far less. Using cloud-based services removes the burden of expensive hardware and information technology expenditures. Additionally, with cloud-based services, you only pay for what you need and use. And, if your needs change you can always quickly scale up or down. This gives you the flexibility to manage the needs of your firm quickly and easily. Tied to the issue of cost is also the loads of time spent on repetitive, tedious tasks. Often, cloud services can automate such tasks saving time and therefore money. But there are other costs which are less direct. Small firms compete with larger ones for both clients and staff. Closing the technology gap is critical for attracting staff and acquiring clients — especially sophisticated and tech savvy ones. The mobile revolution has led to a fundamental shift in how we work and communicate. According to Andrew Arruda, CEO of Ross Intelligence, an artificial intelligence legal research firm, “clients are now in control and want efficient legal service from their firms.” More and more clients have an expectation that information will be at their fingertips. Moreover, as of 2016, millennials comprise the largest generation in the U.S. workforce. These workers have an expectation of access to current technology in the workplace. Younger clients and employees alike prefer modern communication channels and are less willing to use legacy technologies like phone calls and email. They want to send a quick message or log into a web or smartphone app to get the answers they need. In a report conducted by Deloitte Touche Tohmatsu Ltd., workers reported being 20 percent more satisfied with their workplace culture when they have access to collaboration tools. Frustration and dissatisfaction can lead to higher turnover and thus increase staffing and training costs. For smaller firms to remain competitive in attracting and retaining talent, the cloud represents a cost-effective way to compete for motivated, engaged talent. Getting the job done requires a great team. And teams need to work together. The cloud delivers a solution that keeps your team agile, so nothing gets between them and getting things done. A Queens University survey of millennial workers in 2017 found that 75 percent of respondents rate collaboration as “very important.” Despite this, 39 percent of those surveyed did not believe their organization adequately promoted collaboration. Why is this important? Research continues to indicate that collaborative work environments lead to happier, more satisfied employees. Happier employees tend to be more productive and are less likely to look for other opportunities. Beyond your team, the cloud can also help firms collaborate and communicate with clients and other stakeholders. Clients, in particular, value transparency. The Judge Business School at the University of Cambridge found that more than 80 percent of clients surveyed said they had been surprised by major aspects of their case. Clients reported a lack of transparency regarding how their matter was handled as well as confusion regarding billing. The cloud provides an effective means to stay engaged with clients and be the trusted advisor they need and want. Employing a cloud-based collaboration service helps firms drive revenue, acquire new clients and even attract and retain high-level talent. Protecting client data is extremely important for any law firm. Out-of-date technology, such as computers that haven’t installed the latest security patch and software that hasn’t been updated, presents a real hazard to maintaining the security and integrity of your client files. Cloud software is updated by the provider, so law firms don’t have to deal with maintenance of patches. In fact, many cloud service providers offer a high degree of security that would be very difficult for smaller firms to maintain on their own. And when it comes to sharing files, forget about emailing documents and leaving it up to the recipient to make sure that the data is secure. Centralized file storage gives your firm the convenience of sharing and the security and control of being able to manage access to sensitive documents. With the cloud, access can be granted for a given time frame and firms can choose what level of access the team member or stakeholder needs. Cloud computing also has the advantages of robust backups and data recovery. Cloud services provide easy, automatic backups so the firm doesn’t have to manage and maintain this critical function on premise. We all know the nightmare of going to retrieve a file or file folder only to discover it isn’t there. The devastation of losing hours or days’ worth of work from an unforeseen system failure can be avoided with the cloud. Cloud services maintain a high level of redundant systems to avoid just such a contingency. Factual data has always been close to the heart of the practice of law. From client intake to law firm billing and all legal services and tasks in between, law firms create and process massive amounts of data. But few if any firms using traditional, on-site computing solutions are equipped to leverage that data for efficiencies and analytics. Knowing your data intimately can help you work smarter and serve clients better. In fact, 70 percent of attorneys reported in a joint Above the Law and Bloomberg Law survey that data analytics had given their firm a competitive edge. Firms are using analytics in several internal and client-facing ways: 66 percent used data to inform litigation strategy; 62 percent say they use data to better advise clients; a smaller number, 29 percent, say they use data for forecasting profitability of cases or matters. For small firms who may not have the resources to hire a data scientist, cloud services like Lex Machina can provide similar advantages. Keeping up to date on technology developments is not just of matter of competition — it is also an ethical requirement. The consequences of violating this part of the “competency” rule can be just as severe as violating other aspects of the competency rule. Although the language in the rule does not require lawyers to be technology experts, it does raise ethical — not to mention malpractice — concerns for lawyers who ignore technology developments altogether. Cloud computing gives attorneys the flexibility and agility to stay up on such developments. Early on, adoption of cloud-based legal software was gradual. Although that pace has heated up in recent years, starting around 2016, law firms still lag behind other industries when it comes to utilizing advanced technology. Given its potential for process efficiencies, cost savings, data analytics and client engagement, cloud computing is clearly the future. Cloud services do come with challenges but in order to be competitive, particularly with larger firms and their tech savvy neighbors, small firms would do well to further embrace the cloud. This article first appeared in Law360 on 9/21/2018.